Healthcare professionals in North America are currently faced with the challenge of both treating and preventing the ever-increasing incidence of chronic diseases such as Obesity, Diabetes and Cardiovascular disease. The same holds true for community healthcare practitioners in French Polynesia, with additional budgetary, resource and delivery challenges. They are experiencing similar epidemiological transitions where communicable diseases are decreasing while non-communicable diseases are increasing. Confronting the challenges of providing quality patient care in the face of limited budgets and resources that impact healthcare delivery and access, is fast becoming a global issue for healthcare practitioners. 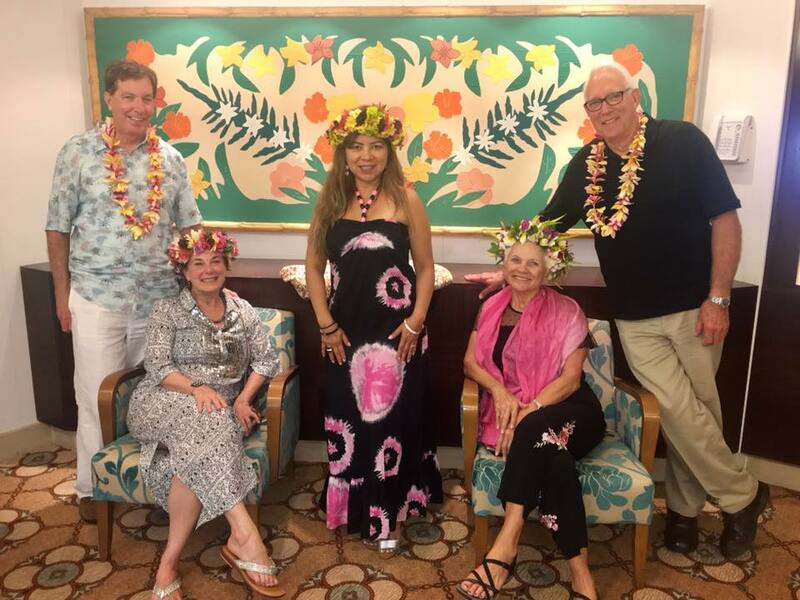 Now, more than ever, it is important for healthcare professionals to collaborate with colleagues and global counterparts to gain cross-cultural perspectives and updates in the treatment and prevention of disease. By design, this program offers opportunities for medical professionals to compare and contrast current best practices to provide quality patient care and outcomes in their own professional setting. NOTE: In addition to the above planned in-country topics, Distinguished PES Guest Speakers present current healthcare topics relating to their practice specialties in medicine, dentistry, nursing and allied health. Dr. James Wilson was born in Memphis, TN. He received his undergraduate degree from the University of Tennessee, Knoxville and his DDS from the University of Tennessee Health Science Center. Dr. Wilson served in the United States Air Force before attending graduate school at the Medical College of Georgia for his Endodontic residency. 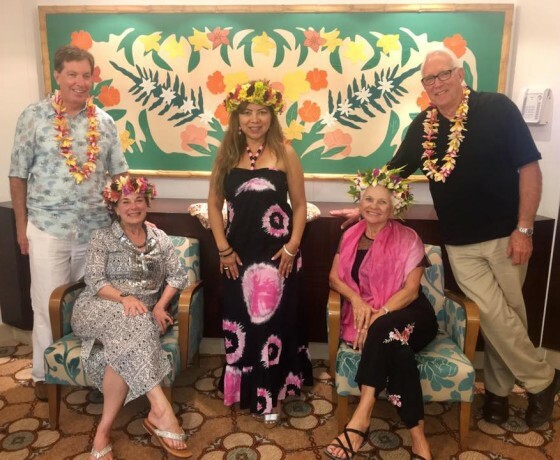 He has served several terms as the President of the Tennessee Society of Endodontists, worked on Global Mission dentistry teams, and global education training and cultural exchange programs. Dr. Christopher Costanzo specializes in cosmetic surgery, hand surgery, reconstructive plastic surgery, and pediatric plastic surgery. He finished his training at the May Clinic, Rochester Minnesota in 1886 and set up a solo practice in Thousand Oaks California. In 1987 he attained a Board Certification from the American Board of Plastic Surgery. In all the years he has been in practice, he has had 100% perfect safety record after thousands of surgical procedures. He has thousands of happy patients performed by himself. George Roughan is a founding Partner of TAP Series. TAP Series has been providing online food safety education and certification since 1999. TAP Series provides ANSI accredited certification courses in all fifty states and internationally. George has been a voting member of the FDA advisory body the Conference for Food Protection for 13 years. Over the years TAP Series has successfully accredited millions of food industry workers in a variety of food safety processes. 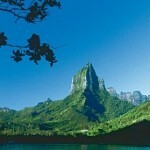 The Bora Bora Medical Center is a small medical center in Vaitape, the main village on Bora Bora. 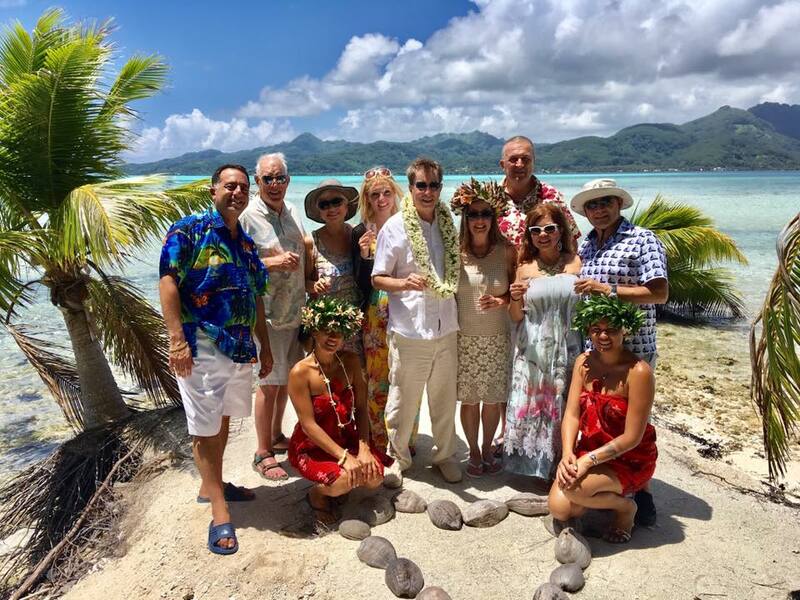 Bora Bora is an island in the Leeward group of the Society Islands of French Polynesia, an “Overseas Country” financially assisted by France in the Pacific Ocean. 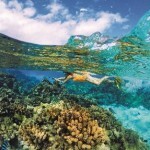 The island, located about 140 miles northwest of Papeete, is surrounded by a lagoon and a barrier reef. 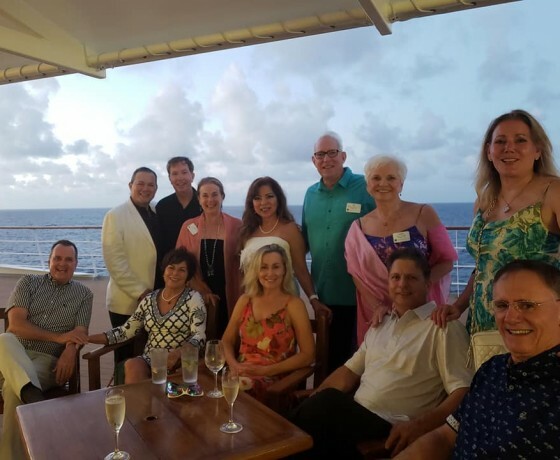 Our mission is to provide quality global CE/CME programs for healthcare professionals, catalyzing opportunities for collaboration with national and international colleagues, while fostering cross-cultural perspectives and partnerships in healthcare education and the delivery of quality patient care. 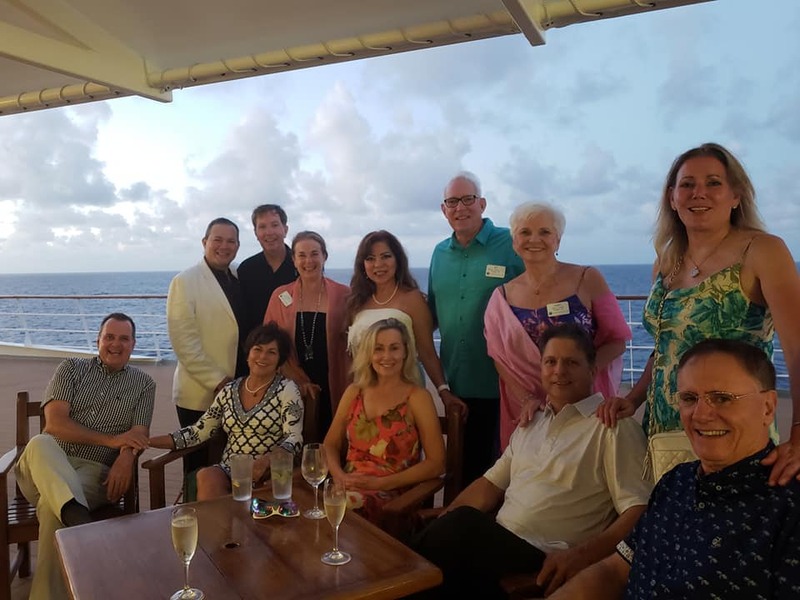 Our goal is to provide unparalleled CE/CME travel opportunities for healthcare professionals that combine their most passionate destination desires with their educational goals, fostering exceptional learning experiences, friendships and connections with national and international colleagues. Keep abreast of rapid expansion of medical knowledge and current best practice models on multiple topics to facilitate change and thus provide continually excellent patient care. By design, this program permits medical experts to collaborate with colleagues and international counterparts to realize cross cultural view points and updates within the treatment and prevention of disease and offers opportunities to compare and contrast current best practices to supply quality patient care and outcomes in their own professional setting. 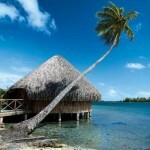 Discover paradise in French Polynesia! 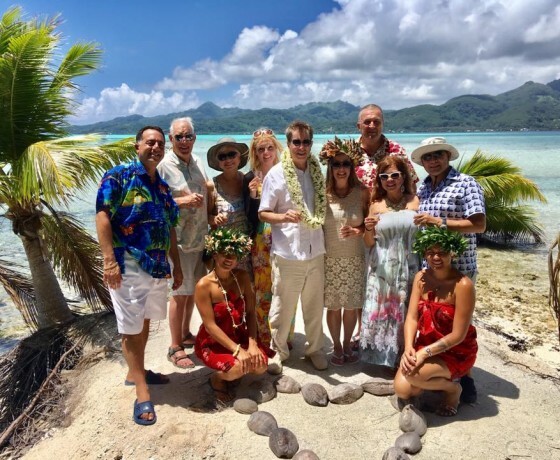 Join PES for one wonderful week to explore the best of the South Pacific, with stops in lush Huahine, beautiful Bora Bora, and postcard-perfect Moorea. Once you’ve made these islands your home—even if just for a week—they’ll always be calling for you to return. This voyage features guest host, Peter Marks, VP of Wine Education, Constellation Brands and Robert Mondavi Winery. 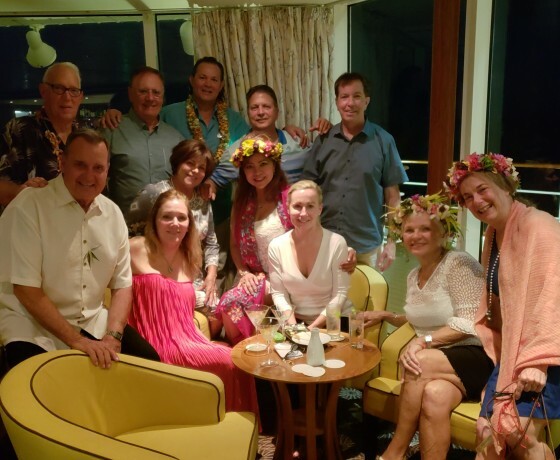 Enjoy onboard seminars and exclusive tastings! 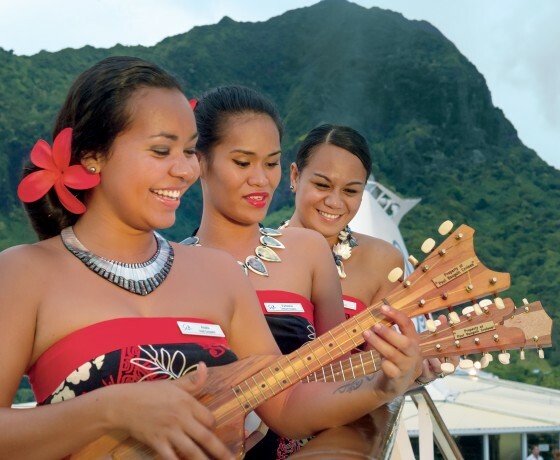 Papeete, the capital of Tahiti, is a vibrant city boasting a bustling harbor and a downtown market, Marché de Papeete, which spans an entire block. Shop for black pearls, indulge in local treats from food trucks in the center square and enjoy the French and Polynesian charm of the city. 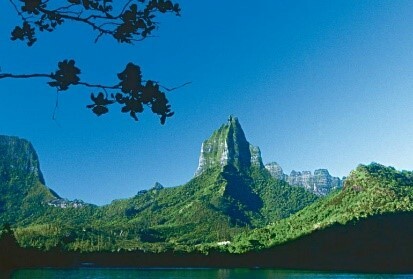 Huahine is known as “The Garden Island” for its lush rainforests and dramatic terrain. This is the home to the famous sacred blue-eyed eels. 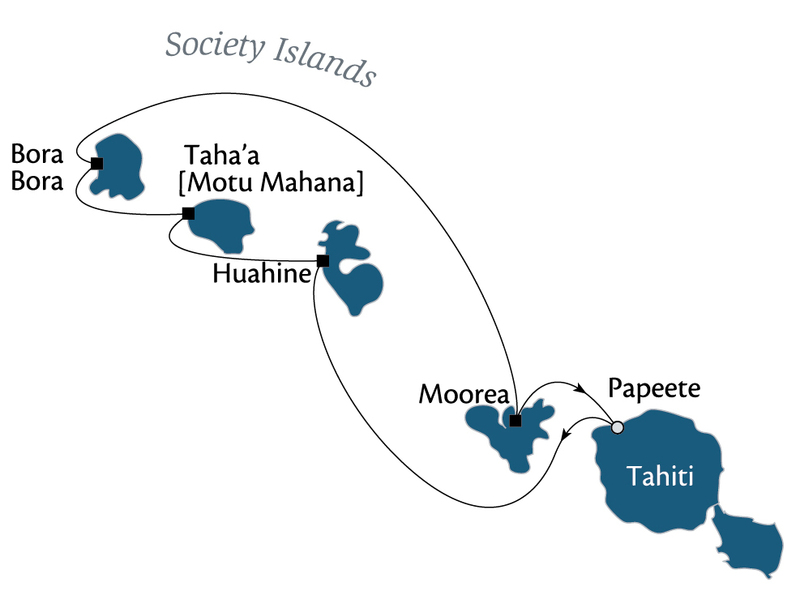 Discover isolated coves, untouched beaches, enchanted lagoons, killer reef breaks and the most extensive complex of sacred temples (marae) in French Polynesia, many hidden throughout the dense vegetation. 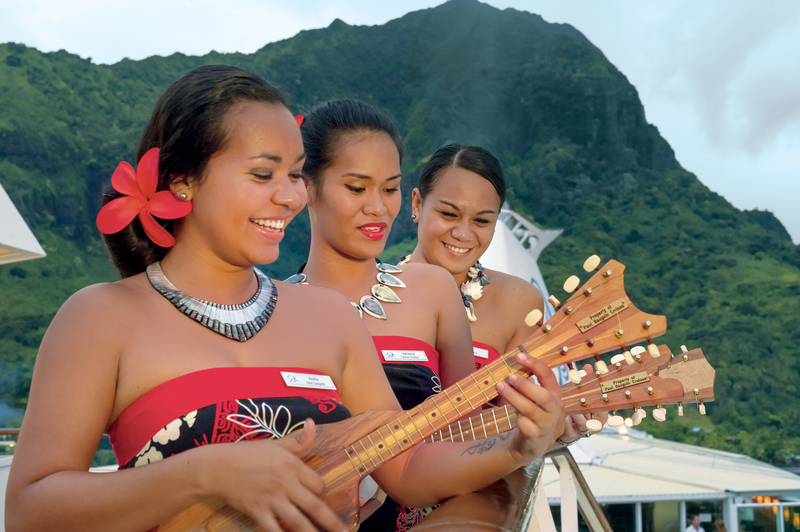 Less frequented than Bora Bora and Moorea, Huahine has retained its authentic Polynesian feel. 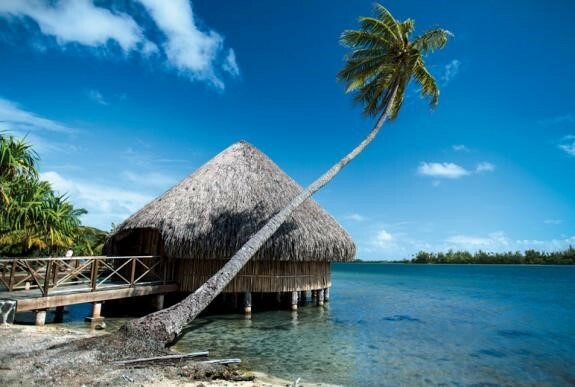 An uninhabited islet off the coast of Taha’a, Motu Mahana is Paul Gauguin’s exclusive private retreat. Here you are free to do as you please – relax in shade of palm trees on the white sand beach, unwind to the songs of the Les Gauguines, or snorkel the motu’s turquoise lagoons, working up an appetite for a delectable al fresco barbecue feast. Graced with crystalline aqua lagoons, idyllic white-sand beaches, jagged volcanic peaks, Bora Bora appears like a postcard. 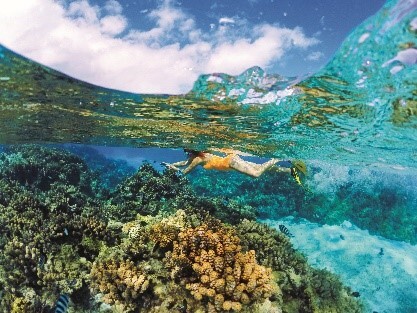 Circle the island by jet boat, traverse the interior by off-road safari, dive beneath the surface for a chance to swim with reef fish, moray eels, and lemon sharks, or relax on the exclusive private beach on a motu just off the island. 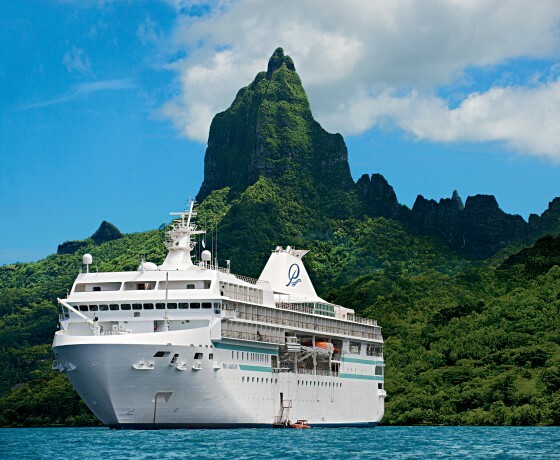 Rugged peaks, volcanic craters, and lush interiors thick with tropical fruit, fragrant flowers, and forests of gigantic mape, or chestnut trees, make Moorea’s mountain scenery nothing short of spectacular. Take an off-road safari, an underwater walk, an ATV tour, or a ride on a Catajet – the opportunities for exploration are endless. Or if the mood suits, kick back and enjoy the jaw-dropping scenery. Enjoy a choice of spacious suites and staterooms (more than 70% with private balconies), an onboard watersports marina, three dining venues, an extensive spa, and five-star service. 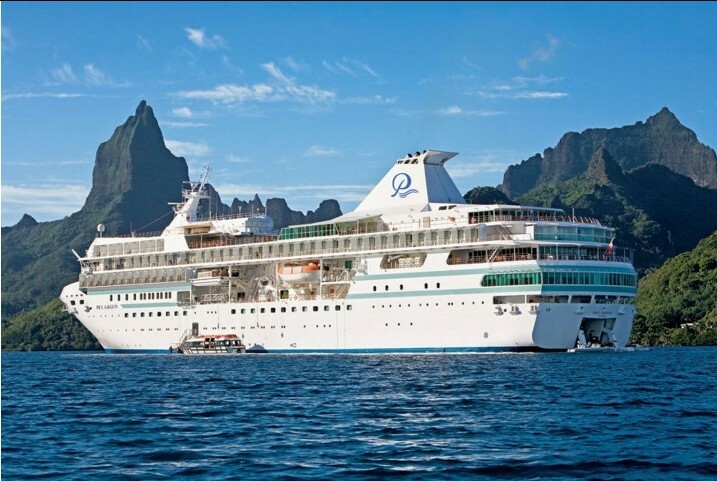 All staterooms have a queen-size bed (a limited number can have twin-bed configuration), bathroom with full-size bathtub and shower, bathrobes, slippers, hair dryer, TV, CD/DVD player, personal safe, refrigerator stocked with soft drinks, and more. 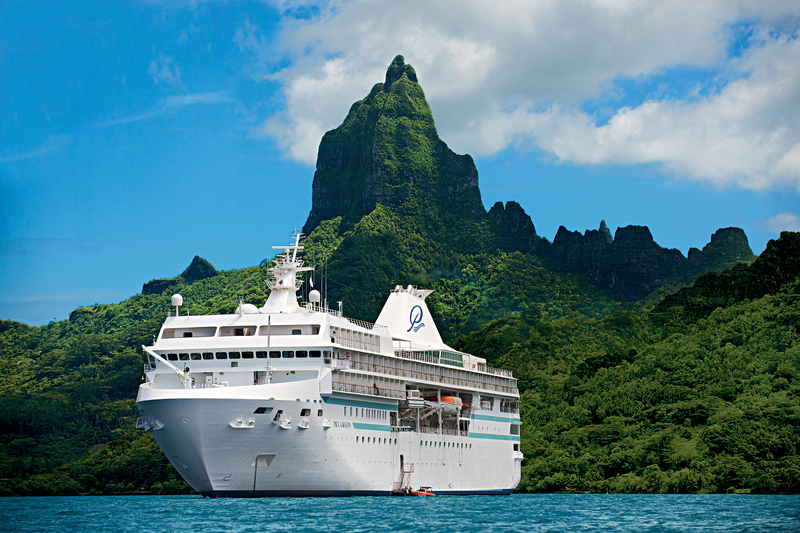 There is one wheelchair-accessible stateroom, and select staterooms can accommodate three guests. 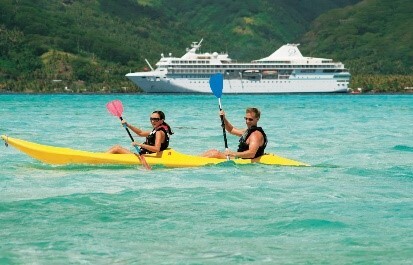 Cruise fares do not include port taxes of $139 per person. 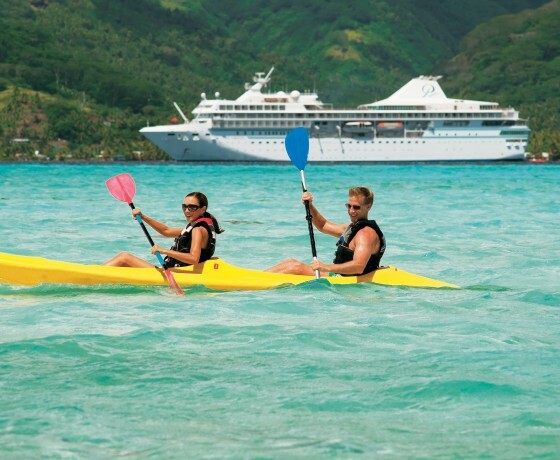 Double pricing is per person, based on double occupancy or two people per stateroom. 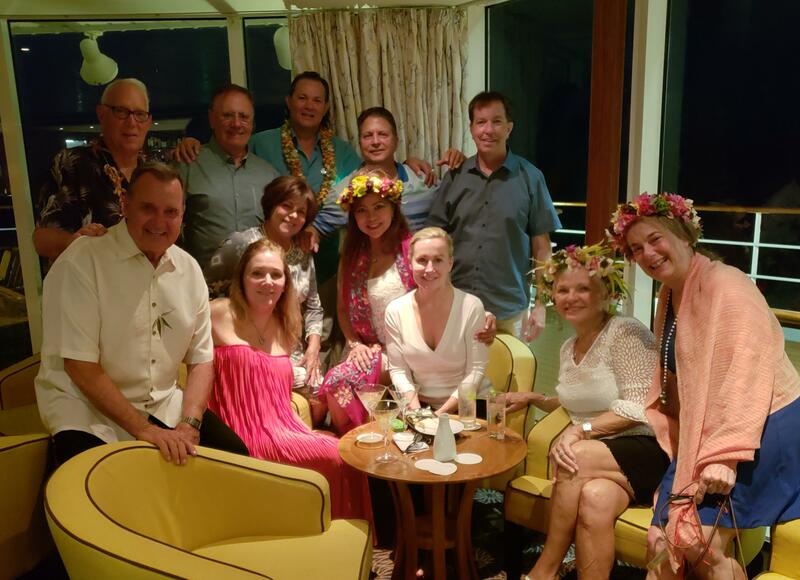 Single pricing is based on single occupancy or one person per stateroom and is capacity controlled by Paul Gauguin Cruises and subject to change. Airfare is included round-trip Los Angeles. PES will book your arrangements to/from Los Angeles for a $75 service fee, or you may choose to handle your own reservation. Pre- and Post-Hotels: Please contact your PES Travel coordinator if assistance is needed to arrange a hotel before or after your trip. 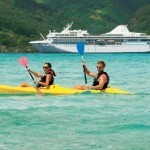 Does PES offer Individual Travel Insurance? Please fill out the online registration form below, or if you prefer, download the PDF Registration Form and send by mail, fax or email.